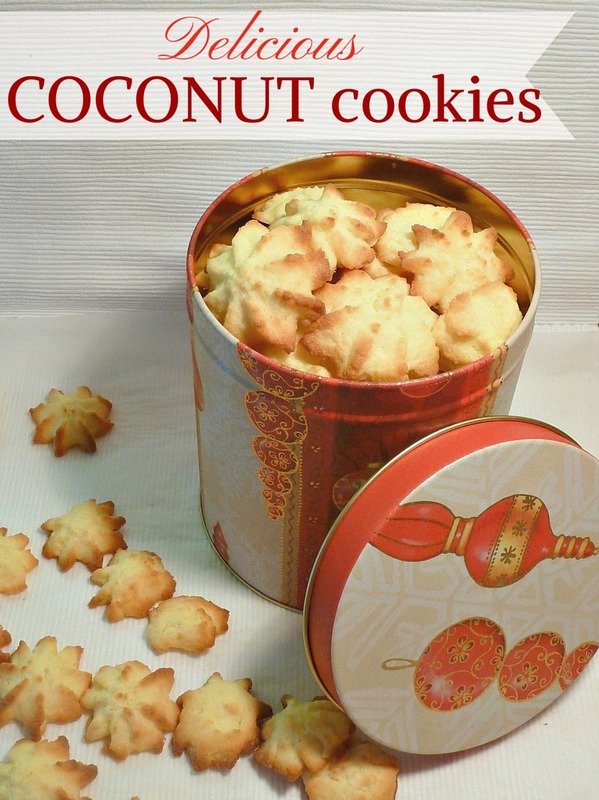 I'd love to present you a simple December tradition in our family: making delicious, mouth-watering coconut cookies! 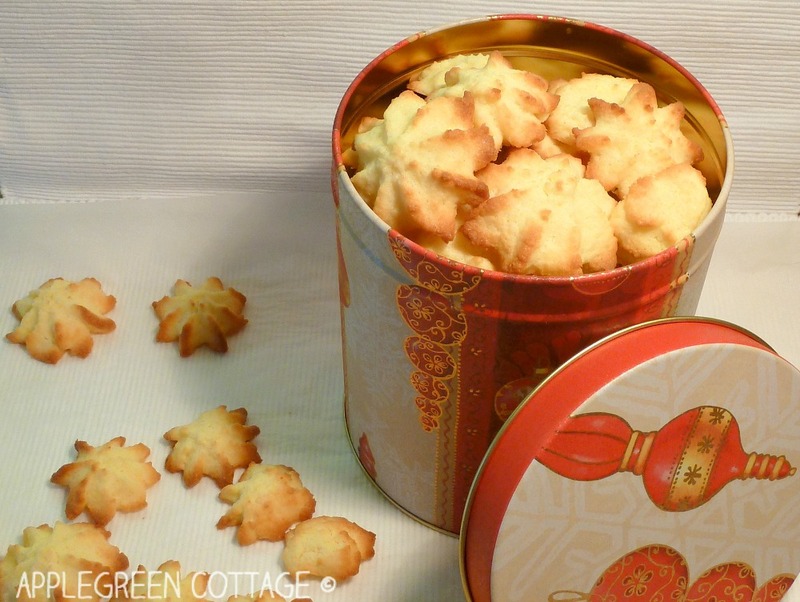 These flavourful coconut cookies are light as feather, melting in your mouth and there is no chance there will be any left for the Christmas. I'll just have to make them again by then. 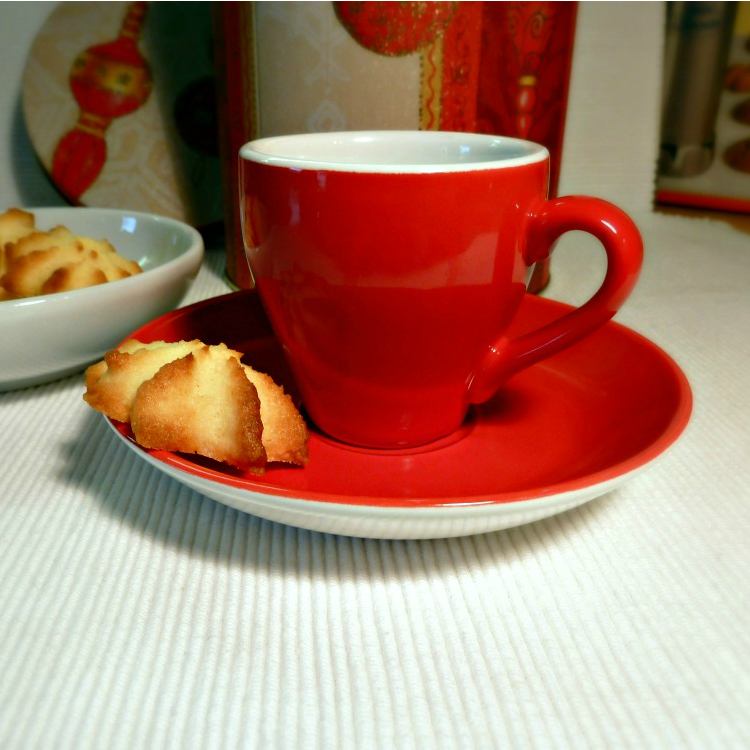 Easy, simple and they will last long - but only if you tuck them away somewhere on a high shelf in your kitchen storage. Otherwise, plan ahead and double the amount of ingredients - which is what I usually do nearly every Christmas. To make them, you'll only need 6 ingredients. Stir margarine with powdered sugar until creamy and light yellow. 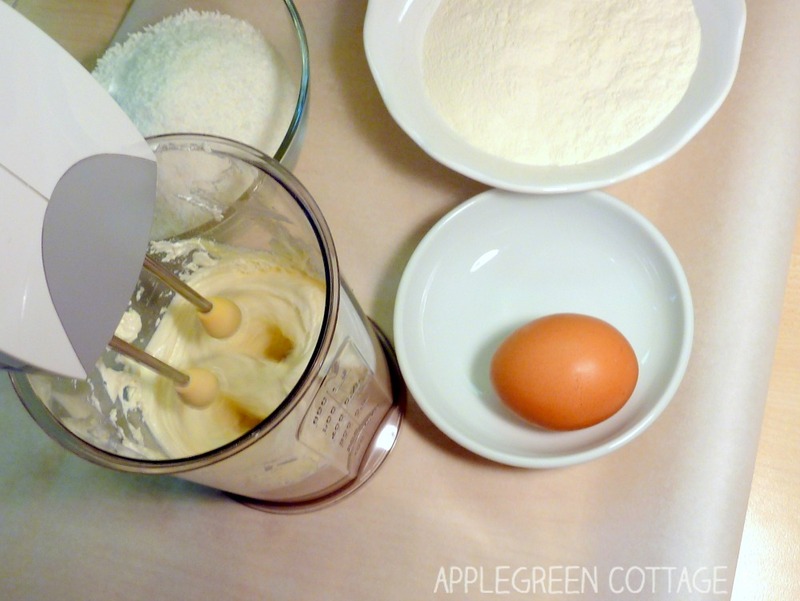 While mixing, gradually add the flour and the finely shredded coconut. Refrigerate (covered) for half an hour. In the meantime, cover the baking sheet with a layer of baking parchment paper. Take the cookie dough from the fridge, then use the cookie press to make cookies in the form of your choice. A hint: if the dough sticks to the cookie press, use a round butter knife to push the dough onto the baking sheet. If you don't have a cookie press, use a tablespoon and drop cookie dough by rounded teaspoonfuls (an inch apart) onto the baking tray. Yield: approximately 70 cookies (depends on cookie size). Preheat the oven to 350° and bake for 7 to 10 minutes until golden brown. Let the cookies cool completely before you store them in a cookie container. But oh, this year baking cookies has been easy for me, as I've got a little helper! Our toddler is always eager to help, especially when there's cookies or cake to be made! 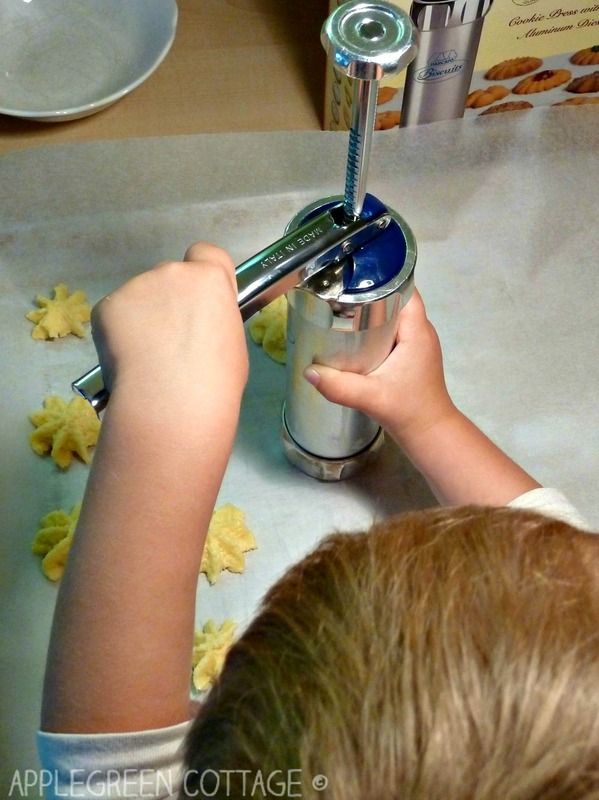 If you also have a kid in your house, a cookie press will be something he or she will most certainly love to try out. It looks like fun: you only push a handle and here it is, another star-like cookie! 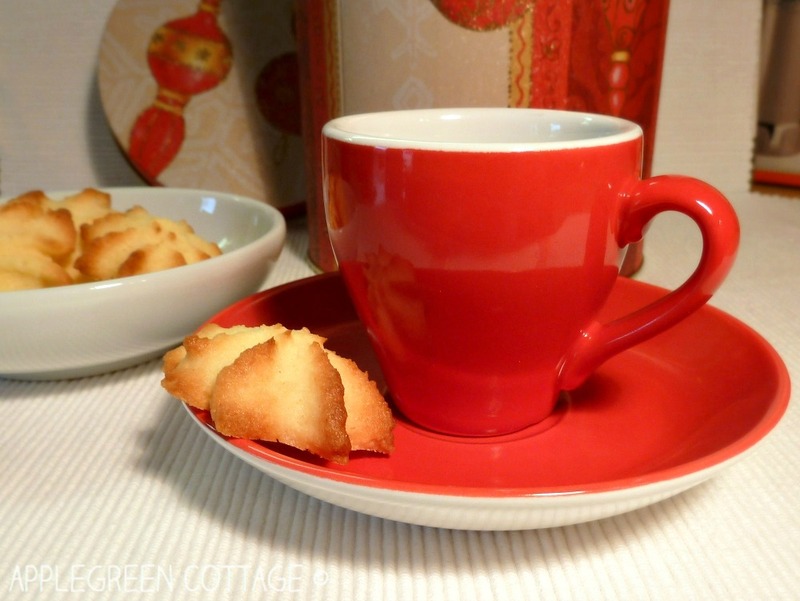 The cookie jar has been already emptied as I'm writing these words, meaning I am just about to dive into a round of cookie recipe search. I'd be even happier if you'd suggest some of your tried-and tested cookies recipe. What's your favorite? 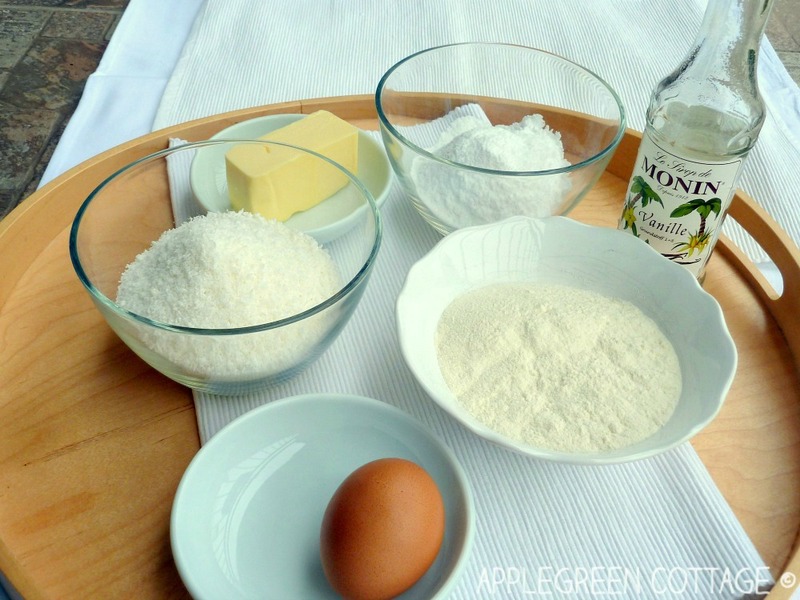 Tell me, I've got my baking sheet ready to go!